Event Horizon is a collection of over 270 sounds that explores the space in between Ambient and Cinematic Soundscapes, this soundset is ideal for producers of any genre looking for atmospheric sounds to add to their productions. From Ambient and Atmospheric Drum n Bass to scoring of TV and movies - these sounds are designed to bring layers of tension and movement into your music. + 58 Hits and Bits (mainly used for the multis). Event Horizon is the first soundset from Plughugger to make use of multis. A multi is a combination of several single layers, and is a way to quickly get advanced soundscapes with a cinematic quality. Number of sounds: 273 (168 patches, 58 hits, 47 multis). 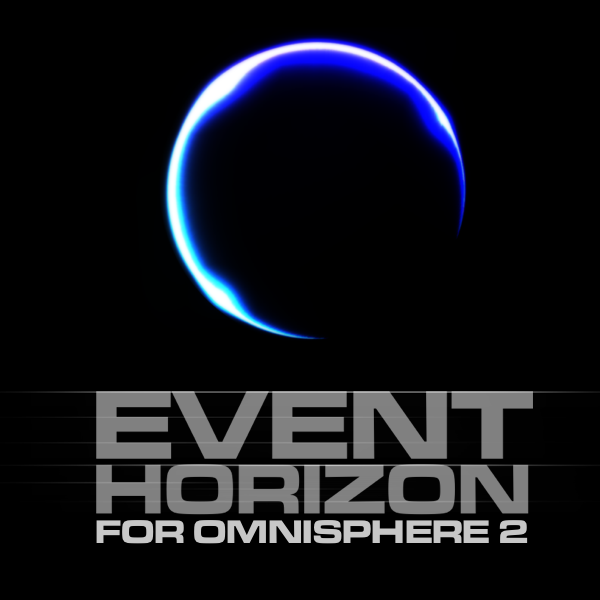 IMPORTANT - Event Horizon is a soundset for Spectrasonics Omnisphere 2. This product requires a fully working copy of Omnisphere 2.1 to work. This is not a sample set. Please check out the FAQ before buying.